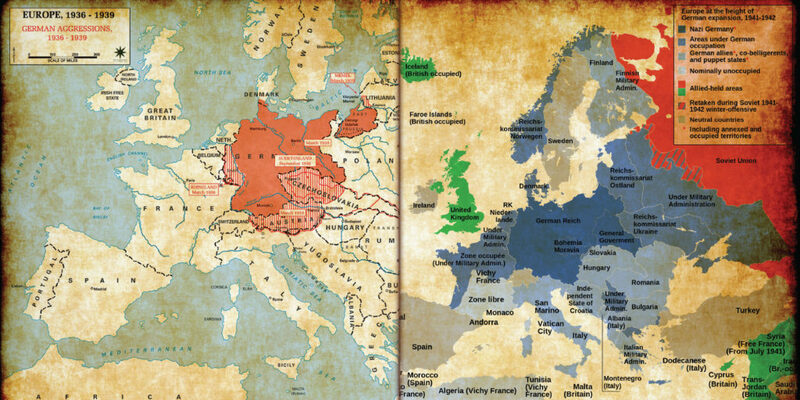 Comparison maps of German aggressions before the war (left) and during the war (right). In less conflicted times, they might never have met. But as Germany lurches headlong toward World War II, many lives are forced to take unexpected turns. While war swirls around them, Dieter, half Jewish beer-hall piano man, and Sofie, daughter of a prominent Wehrmacht general and a Jewish/Polish spy, try to insulate themselves from an ugly time in world history by immersing themselves in music - sensual, provocative, prohibited American jazz. With some of the most devious and "inhumane" SS operatives in the Third Reich trying to track them down, the two unlikely young lovers repeatedly evade their grasp. But, despite assumed identities, their risky cabaret performances finally expose them. Hunted and desperate, chased in separate directions across Hitler's ravaged Europe one to Paris, one to the infamous Theresienstadt concentration camp, they finally realize that a daring escape attempt is their only chance. 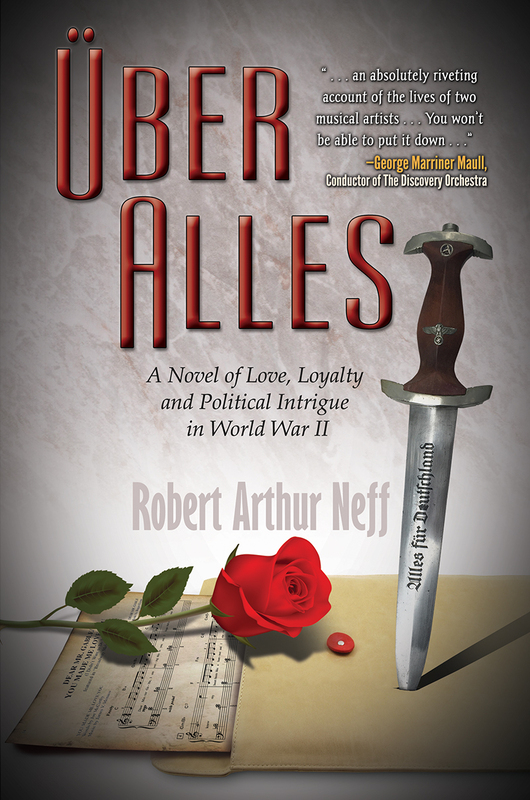 In this love story unlike any other, Robert Neff spins a tale of political intrigue and romance that avoids the usual stereotypes and assumptions and instead examines the effects of war on the very human beings who find themselves intentionally or otherwise on both sides of the historic conflict. First-time novelist Robert Arthur Neff interweaves history and imagination in this novel of World War II that challenges our preconceptions of those who waged it and those who watched it happen. Concentrating on the everyday humanity of the players on both sides, Über Alles paints a thought-provoking and often disturbing portrait of how war affects everyday lives. Through this deeply personal picture of those who, hopelessly entangled in the conflict, try to stay one step ahead of a war as it hurtles toward them, this original novel will challenge the notion that "it can't happen here." From his early years, Robert Arthur Neff has thrived on international involvement. 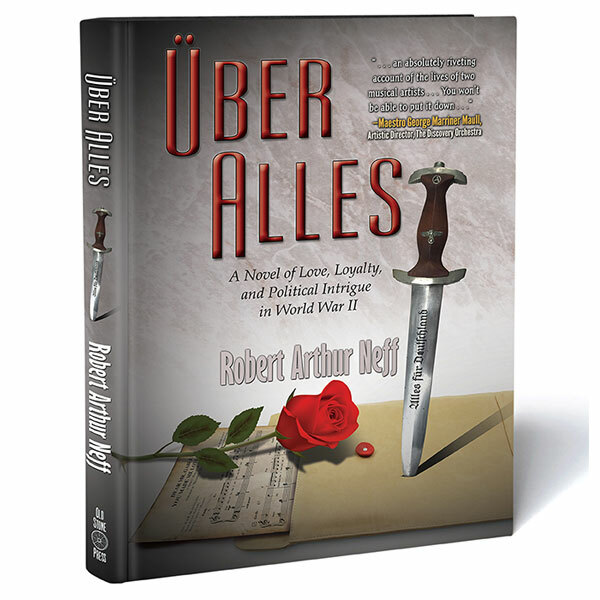 Military service, business responsibilities, and personal travels have familiarized him with the locations and events entwined in his historical novel, Über Alles, a story he describes as either a history lesson wrapped in a love story, or the reverse of that. Mr. Neff studied engineering, political science, and law at Cornell University, then he entered the real world as a JAG officer in the US Air Force. After his military service, Mr. Neff knew that he wanted a business career that would continue expanding his knowledge of many cultures and countries. He had the good fortune to find just such a job with the Rockefeller Brothers International Basic Economy Corporation, focusing on Western Europe, the Middle East, and eventually South America, which became Mr. Neff's home for several years. Mr. Laurance Rockefeller's participation in the airline industry yielded a welcome opportunity for Mr. Neff. He became an officer and director of Seaboard World Airlines, a major all-cargo airline with contracts with the US Department of Defense. Seaboard and the Flying Tiger Line later merged and eventually became an integral part of the Federal Express Corporation, from which Mr. Neff is a retiree. Mr. Neff now resides with his wife, Julie, in Pinehurst, NC, and on Beaver Island, MI. They continue to visit other parts of the world frequently, and Mr. Neff has formalized his lifelong interest in writing, drawing extensively upon themes suggested by his work and travels. Favored leisure activities include playing jazz standards on his oversized grand piano; watching and playing tennis, and enjoying the uncomplicated attractions of Nicaragua's Pacific Coast, where he does much of his serious writing. Why do you think WWII stories are still popular today? Aside from its sheer magnitude, WWII was also significantly different from other conflicts because it was experienced universally. An entire nation stepped away from its usual, comfortable lifestyle and joined in the war effort. There is a constant audience for superlatives. George Stevens's The Greatest Story Ever Told always played to packed houses. Tom Brokaw christened our participants in WWII as The Greatest Generation, assuring that there is an audience for new stories. Are there similarities between composing a novel and composing music? Many musicians enjoy extemporizing and personalizing their performances whether playing a jazz standard or a classical masterpiece. Storytellers often have that same desire to add new twists to familiar themes. In Über Alles, I have attempted to construct an appealing tale that also becomes the vehicle for acquainting my readers with interesting information about WWII. Is that the same motivation that prompted legendary saxophonist Charlie Parker to stray from the printed music of 'Body and Soul' and afford us a glimpse of his own soul? Perhaps. How is your WWII novel different from any other WWII love story? The national loyalties of characters in WWII love stories are usually unequivocal. However, both Sofie and Dieter in Über Alles become fugitives within their own nation. Each has one Jewish parent, which places both in jeopardy. That shared danger unites the two young people. However, Dieter's history of homosexuality appears to impose a boundary on their relationship. Sofie's determination to surmount that barrier is a departure from most love stories. The reader is left to answer what IS valued above all else Über Alles. ...an absolutely riveting account of the lives of two musical artists...in that decade when the Nazis sought to eradicate anyone they deemed racially impure or sexually deviant...You won't be able to put it down..."
Über Alles ...succeeds both as an engaging romantic tale and as a solid look back at World War II. Readers will be well rewarded." ...An epic and gripping story, it has all the ingredients for a captivating movie or television series. You will savor this excellent read." Old Stone Press TipSheets are interactive media releases with direct links to reviews, media updates and more. They provide comprehensive information about every aspect of our publications and are easily downloaded. So. You’ve Got A Story To Tell.